With each summer and winter season at Outdoor Project we round out the Contributor Rewards Program by recognizing Contributors who have trudged those extra miles, stayed out longer for that perfect photograph, and who generally have gone above and beyond in providing invaluable knowledge, sweat and tears to help build Outdoor Project into what it has become - one of the richest and fasted growing platforms for outdoor adventure discovery. This past Summer 2015 season was another incredible one at Outdoor Project in which we saw 500 new adventures added across the west. Distilled from that, we're thrilled to announce the Summer '15 Contributor awards/prize winners. Thank you to all who contributed your inspiring experiences and stories! For those unfamiliar with the Contributor Rewards Program, the majority of content on Outdoor Project has been published by our talented Contributor community. These folks are experienced photographers, videographers, storytellers, and passionate outdoor adventurers who have elected to share their expertise to help make Outdoor Project the best resource for outdoor adventure. In return they take part in the Contributor Rewards Program. As one component of the program, Contributors earn awards and prizes following each season to reward their hard work and efforts in addition to gaining access to pro deals and the year-end cash rewards pool. 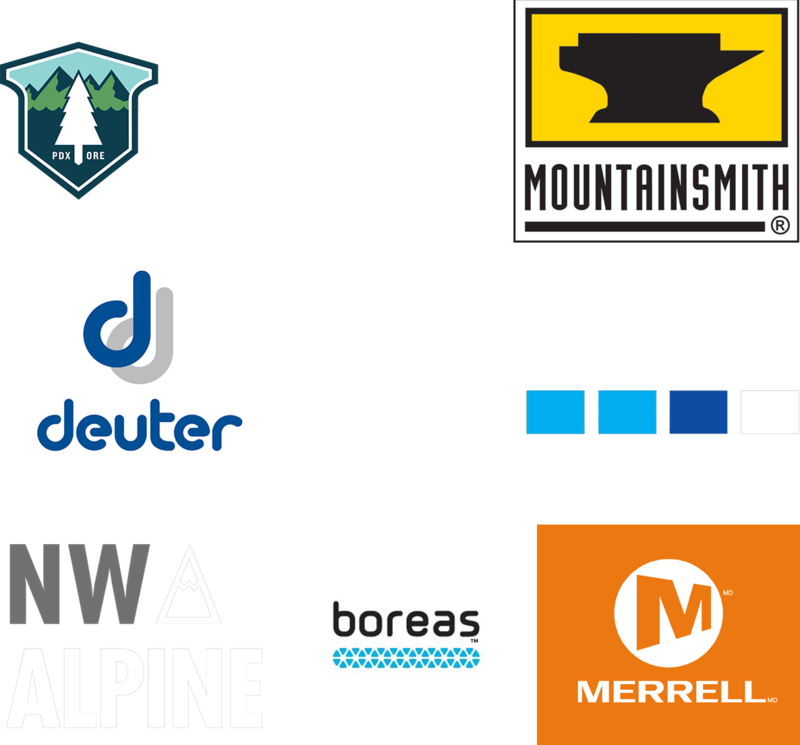 We'd like to extend many thanks to Next Adventure, Mountainsmith, Deuter, GoPro, Boreas Gear, NW Alpine and Merrell for providing many of the prizes listed below! Denis Leblanc (Pro Contributor): 397 AP. PRIZE: $600 Next Adventure Gift Card + NW Alpine Black Spider Hoody + $50 to Outdoor Project Store. Shane Kucera (Pro Contributor): 118 AP. PRIZE: $250 Next Adventure Gift Card + Mountainsmith Arapahoe Sleeping Bag (or Mountainsmith product of equal/lesser value) + $50 to Outdoor Project Store. Jesse Weber (Pro Contributor): 116 AP. PRIZE: $200 Next Adventure Gift Card + GoPro Hero 4 Black + $50 to Outdoor Project Store. Jessica Beauchemin (Pro Contributor): 105 AP. PRIZE: $150 Next Adventure Gift Card + GoPro Hero 4 Black + $50 to Outdoor Project Store. Robyn Anderson (Pro Contributor): 76 AP. PRIZE: $100 Next Adventure Gift Card + Boreas Pack + $50 to Outdoor Project Store. Shaun Hunter (Pro Contributor): 74 AP. PRIZE: $100 Next Adventure Gift Card + Boreas Pack + $50 to Outdoor Project Store. Brent Uhrig (Pro Contributor): 66 AP. PRIZE: $100 Next Adventure Gift Card + Boreas Pack + $50 to Outdoor Project Store. Jason Mandly (Pro Contributor): 66 AP. PRIZE: $100 Next Adventure Gift Card + Boreas Pack + $50 to Outdoor Project Store. Patrick Mueller (Pro Contributor): 55 AP. PRIZE: $50 Next Adventure Gift Card + NW Alpine Spider Hoody + $50 to Outdoor Project Store. Rini Sugianto (Pro Contributor): 55 AP. PRIZE: $50 Next Adventure Gift Card + NW Alpine Spider Hoody + $50 to Outdoor Project Store. Andrew Stohner (Sponsored Contributor): 51 AP. PRIZE: $110 Merrell Shoes Gift Card + $50 to Outdoor Project Store. Brandon Katcher (Sponsored Contributor): 49 AP. PRIZE: $110 Merrell Shoes Gift Card + $50 to Outdoor Project Store. Dan Sherman (Sponsored Contributor): 48 AP. PRIZE: NW Alpine Spider Hoody + $50 to Outdoor Project Store. Hal Tweto (Sponsored Contributor): 44 AP. PRIZE: Deuter Backpack + $50 to Outdoor Project Store. John Cody (Sponsored Contributor): 39 AP. PRIZE: Deuter Backpack + $50 to Outdoor Project Store. Yelena Sukhanov (Sponsored Contributor): 33 AP. PRIZE: NW Alpine Spider Hoody + $50 to Outdoor Project Store. Matthew Williams (Sponsored Contributor): 30 AP. PRIZE: NW Alpine Spider Hoody + $50 to Outdoor Project Store. Loreah Winlow (Sponsored Contributor): 25 AP. PRIZE: NW Alpine Spider Hoody + $50 to Outdoor Project Store. Elle Ossello (Sponsored Contributor): 25 AP. PRIZE: NW Alpine Spider Hoody + $50 to Outdoor Project Store. As voted by Outdoor Project Staff. For this category all aspects of the adventure and corresponding documentation are considered. By Daniel Sherman. PRIZE: Mountainsmith Mountain Dome 3 Tent or product of equivalent/lesser value. 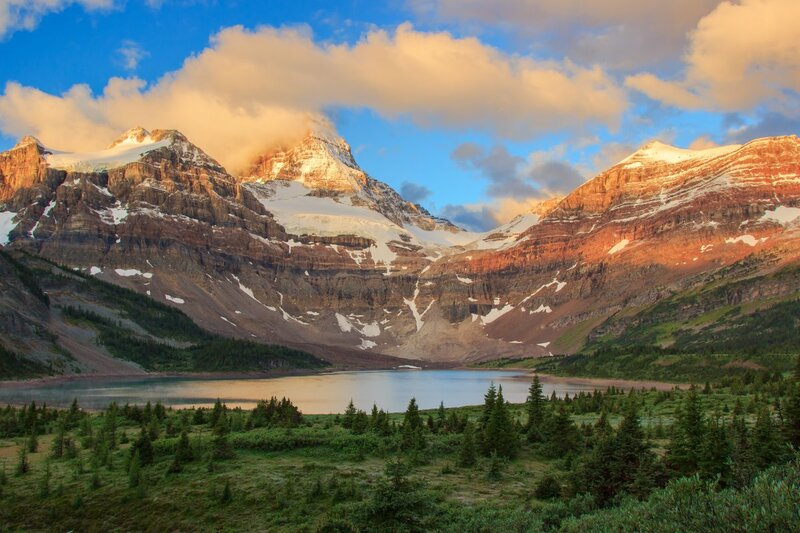 If you didn't yet have the Banff area on your adventure destination radar, after seeing Daniel's exemplary account of Lake Magog in Mount Assiniboine Provincial Park, you most certainly will. Daniel's combination of thorough writing covers multiple adventures under one roof, and his phenomenal photography got us looking at flights immediately. Alpenglow-lit vista of Mount Assiniboine? Yes please! By Zachary Smith. PRIZE: Mountainsmith Apex 80 Backpack or product of equivalent/lesser value. Yes, we are guilty. 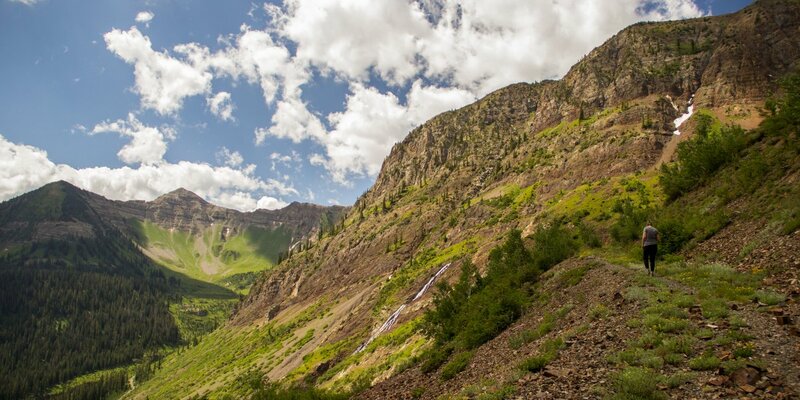 Guilty of loving mountain-framed waterfalls, a rainbow's array of wildflowers, verdant alpine basins and abandoned high country mines all encompassed in a single day hike thanks to Zachary's Angel Pass adventure. Zachary rounds out the beautiful photography with a history-rich write up. By Alix Sorrell + Jesse Gentner. PRIZE: Mountainsmith Day Lumberpack + Mayhem 45 Backpack or product of equivalent/lesser value. A true team effort, Alix and Jesse would do John Muir proud in showcasing this 40+ mile loop in the heart of Kings Canyon's backcountry. 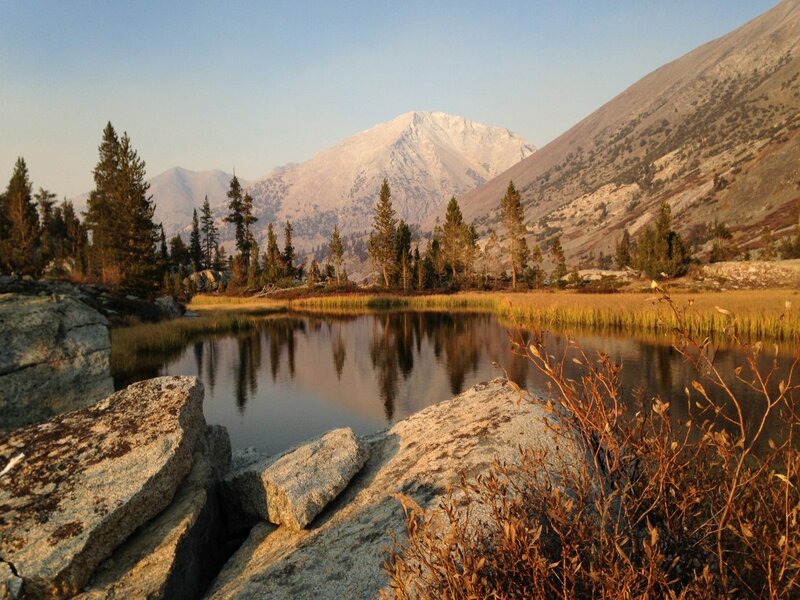 The details in the writing are top notch and do a superb job highlighting the myriad Sierra landmarks along the way, and the photos cover the scenery of this 3- to 5-day loop thoroughly. By Jesse Weber. PRIZE: Mountainsmith Mountain Trunk 100L or product of equivalent/lesser value. 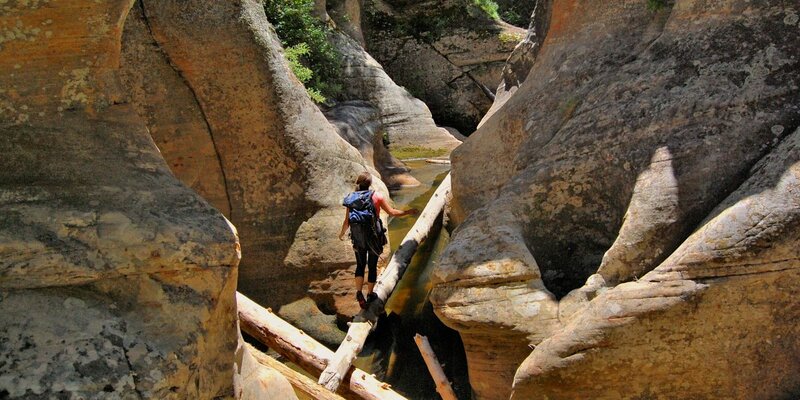 The most technical adventure out of this group, the photos got us hooked initially, but Jesse's attention to detail in the write up and focus on safety and logistics is what gave this adventure the additional boost. As voted by Outdoor Project Staff. See winning photos in top slide show. Lone Pine Peak by Rini Sugianto. Prize: $100 Next Adventure Gift Card. Mount Shasta, Clear Creek Route by Daniel Sherman. Prize: $50 U.S. Outdoor Store Gift Card. South Fork of Warm Springs to Red Warrior, Smoky Mountains by Matt Leidecker. Prize: $25 U.S. Outdoor Store Gift Card. The Queen Victoria by Jesse Weber. Honorable Mention. False Kiva by Denis Leblanc. Prize: $100 Next Adventure Gift Card. Patos Island by Matthew Williams. Prize: $50 U.S. Outdoor Store Gift Card. McWay Falls by Patrick Mueller. Prize: $25 Next Adventure Gift Card. Kings Peak by Brent Uhrig. Prize: $100 Next Adventure Gift Card. First Flatiron by Jesse Weber. Prize: $50 Next Adventure Gift Card. Granite Lakes + Seven Up Pass by Jason Mandly. Prize: $25 Next Adventure Gift Card. Lake Agnes + The Beehive Hike by Daniel Sherman. Honorable Mention. Lehman Caves by Jessica Beauchemin. Prize: $100 Next Adventure Gift Card. Peek-a-boo + Spooky Gulch Loop by Brent Uhrig. Prize: $25 Next Adventure Gift Card. Bumpass Hell by Patrick Mueller. Honorable Mention. Four Lakes Loop via Long Canyon by Jason Mandly. Prize: $100 Next Adventure Gift Card. Through Fire, Comes Ice; The Birth of Crater Glacier by Eric Guth. Prize: $100 U.S. Outdoor Store Gift Card.